Brillante Mendoza‘s films, social realist to the core, tend to focus on marginalized people in Manila struggling to get by in gritty circumstances. The prolific Filipino auteur (24 credits in 11 years) won the Best Director award at Cannes for his Kinatay, and the electrifying Ma’ Rosa continues in a similar thematic vein. Crimes of necessity run up against unexpected complications; in this case, the drug war corruption of the local authorities. 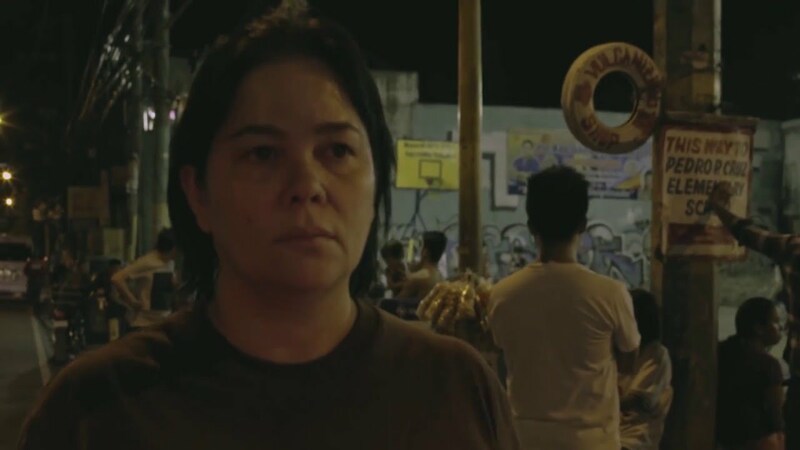 The titular Ma’ Rosa (Jaclyn Jose, herself picking up an award at Cannes for the role this time around) runs a sweetshop in the slums (actually filmed just east in Mandaluyong) and supplements her family’s income selling small amounts of crystal meth on the side. Jose is ideal for the part: she is every bit a hardscrabble woman making do, while also bringing a kind of street-smart dignity to Ma’ Rosa. When we’re first introduced to her, haggling over candy prices and ignoring the calls for “Ice, Ma’ Rosa!” as she returns home, we know exactly who she is. Unfortunately, so do the cops. After a night raid, she and her husband Nestor (Julio Diaz) are hauled in for their rather meager crimes. Mendoza films all of this in jittery hand-held, which, rather than distracting or ugly in its results, actually heightens the tension and provides a street-level view of the neighborhood. It’s intended to be immersive, and it is — the blending of neon and shadow, the off-kilter unease of the police station, and the velocity when things really get going all validate the choice. So begins a frantic rush for cash. The entire family is enlisted: Ma’ Rosa and Nestor’s three children are the primary rushers, begging favors from extended family, selling cell phones, and even turning a trick. There’s a sense of crime and self-humiliation spiraling out from these circumstances; everyone has to bow down before this irrational, graft-driven authority in order to secure the release of the unfortunate couple, and everyone is oppressed in different ways by someone else. The politeness with which the captives and their family respond to the cops are testament to this. Even the snitching that set their arrests in motion proves to be, if immoral, not beyond the realm of understanding. Jose is the film’s lynch-pin, so fully embodying Ma’ Rosa’s toughness and intelligence that you’d think she’d been living these circumstances all her life. (Indeed, when Mendoza demanded she spent a year in the neighborhood prior to shooting to get a feel for it, she agreed for the sake of the method, but assured him she actually came from a tougher place.) Mendoza presents a fully realized world of small, futile gestures and resignation to class oppression, which the drug war only fuels. I know there are a lot of people who are not supportive in totality of what he wants and what he’s doing right now, but if you actually have witnessed the real situation, this is the way to go about it. Not only that, but he actually shot Duterte’s “State of the Nation Address” last year, not long after wrapping Ma’ Rosa. Critics who disapproved of his shot choices were dismissed: “It shows power, and we want to show power,” he says. There’s an endless debate about whether the “extra-textual” should affect how we receive a film, whether it matters that a director or writer or actor holds certain beliefs. “Stick to the aesthetics,” is the refrain. And the aesthetics in Ma’ Rosa — its look, feel, and narrative choices — are exhilaratingly realist and sympathetic to the plight of those on the margins. But even those unrepentant aesthetes have to concede that this seems an unusual case: an empathetic, angrily anti-drug war film from a Duterte backer. 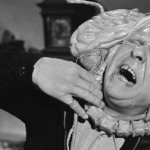 When Mendoza says, “I try to stay away from political issues,” it is hard to keep one’s eyes from rolling. Even if all film isn’t in some way political (and in point of fact, it is), certainly these sorts of social-realist pictures, grappling with institutional injustice and current issues, would be. And if he’d wanted to stay away from political issues, agreeing to direct Duterte’s big speech, emphasizing its power, and then shooting two anti-drug commercials for the government would all seem to militate against this weird notion. He may as well claim it’s not really about the Philippines. Mendoza is very clear that things may appear different to those from the outside, from the first world, than they do on the ground, and I’m sure he’s right. But this is a paradox from where I’m sitting. 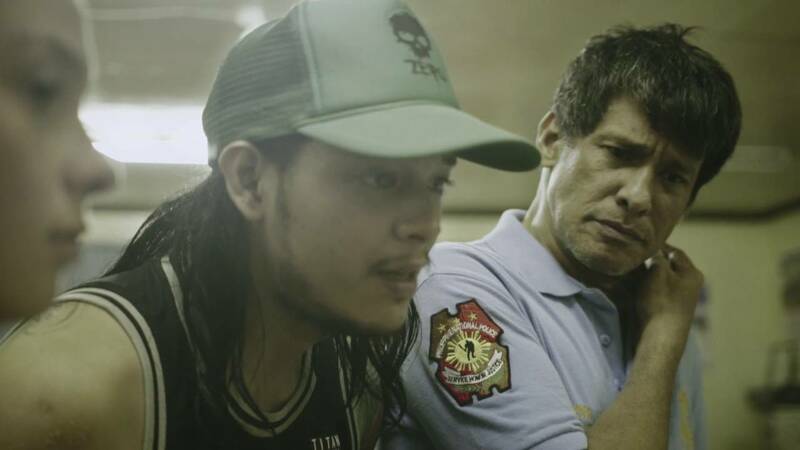 Ma’ Rosa is a gorgeous, nuanced, and thrilling interrogation of the low-level moral casualties of a drug war. That it arises in tandem with support for that very same effort is perplexing.